GoogleMayer in her Google days. One of the most famous human resources policies born in Silicon Valley may not actually exist, according to Marissa Mayer. Under this policy, employees get to work on whatever personal projects they want during one-fifth of their week — a whole day. Supposedly, lots of big Google products came out of 20% time. One you’ve definitely heard of is Gmail. 20% time is considered such a successful policy at Google that policies like it have spread to several other companies in Silicon Valley, from LinkedIn to Google. It turns out 20% time doesn’t really exist at Google. Not according to early Googler and Yahoo CEO Marissa Mayer. While doing reporting for my new book — “Marissa Mayer and the Fight to Save Yahoo!” — I learned that in the Spring of 2013, Mayer stood up on stage during an all-employee meeting at Yahoo and debunked the 20% time myth. Mayer was announcing something called the CEO challenge — an initiative where teams that came up with cool new product ideas would get spot bonuses of $US250,000. Mayer warned Yahoo employees not to work on CEO challenge products instead of doing their regular work. If you’re the kind of person who likes these sorts of inside details, you’re the kind of person I wrote my book for, and you should buy a copy — or three dozen for all your friends. 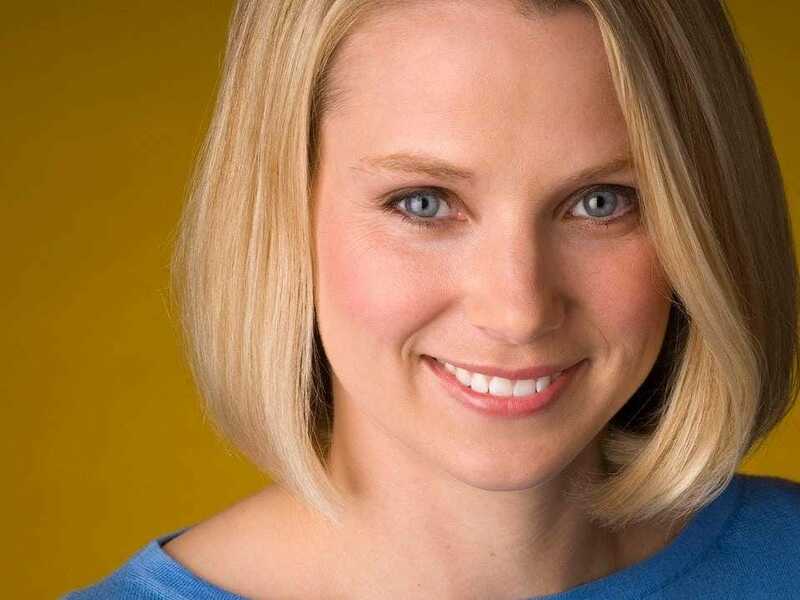 google marissa mayer sai-us yahoo!